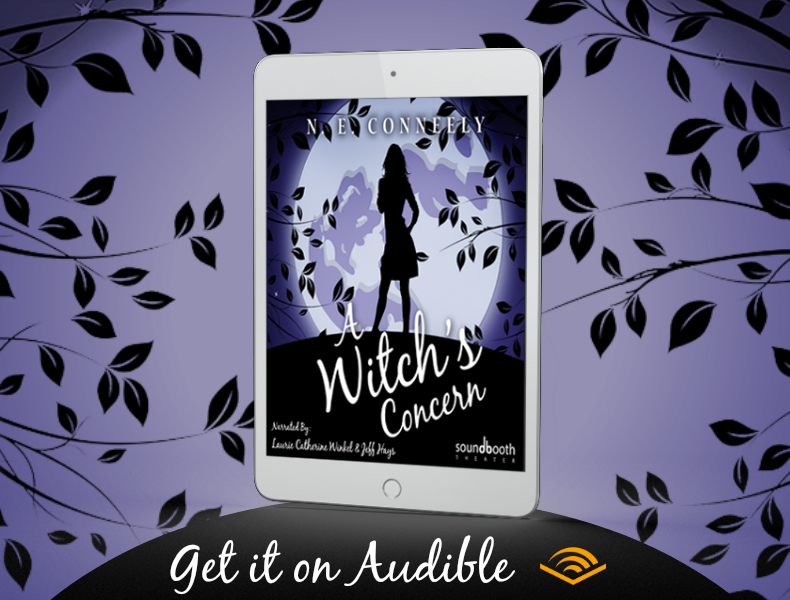 In A Witch’s Concern, Michelle finds that her problems are larger than one clan of witches, and is forced to choose between the people she holds dear and the way of life she loves. I loved the first set of audiobooks in this series and this one doesn’t disappoint at all! This audiobook starts with a bang with Michelle’s kidnapping and stays intense throughout the whole novel. Michelle is an independent, strong witch who feels no alliance to any clan and wants to keep it that way. Her Grandmother feels differently. I love that we were able to learn quite a bit more about her family history and the line of strong female witches in her family. Her Grandmother does not want to see this line end and goes to extreme measures to get Michelle to consent to her wishes, almost shocking at times! I have always loved Michelle’s character throughout the first set of books and in this book she still remains my favourite. She has such a kind heart and just wants to do what is right and help others but she just can’t get a break. I loved that the focus of this book is her – no extra big case, just Michelle. Her character deserves it, she is just one of those individuals that gives of herself with no expectation of something in return. Her relationship with Elron is blossoming (yay! ), they both deserve a loving relationship and not to mention some time to work on it. The narration in this audiobook is excellent and adds to the drama and flair of the writing. I couldn’t stop listening as I just wanted to hear what was going to happen next with her. The plot is fantastic and keeps you on the edge of your seat. This is by far my favourite book in this amazing series. This series constantly leaves you guessing on who or what will show up and happen and leaves you wanting more. You can purchase a copy of this audiobook on Audible. This entry was posted in book review, giveaway.